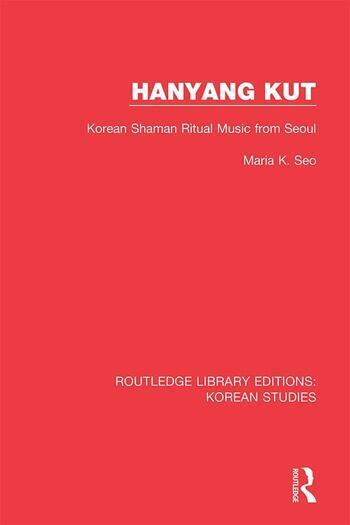 This volume, first published in 2002, presents a sophisticated analysis of the musical instruments, repertoires, musicians and ensembles, and symbolism of the ritual music of Shamans of Seoul, Korea. Placed firmly in a social and historical context, it shows that Shamanism, considered superstition by many today, is alive and well in Seoul in a rich tradition reaching back to the Chosôn Dynasty (1392-1910), the capital of which was Hanyang (now Seoul). The instruments, dress and other accoutrements of courtly life from the Chosôn Dynasty have been taken up, although transformed, in contemporary rituals among spirit-possessed Shamans. Through a comparison of Hanyang kut - the rituals of the Hanyang Shamans - and the ritual practice of Inner Asian Shamans, and through an analysis of the relations of spirit-possession music rituals to musok, the indigenous religion of Korea, Seo sheds light on the role of music, spiritual practice and culture in present-day Korea.